Aircraft recognition was first developed between the First and Second World wars when aerial warfare was first recognised as a future threat. 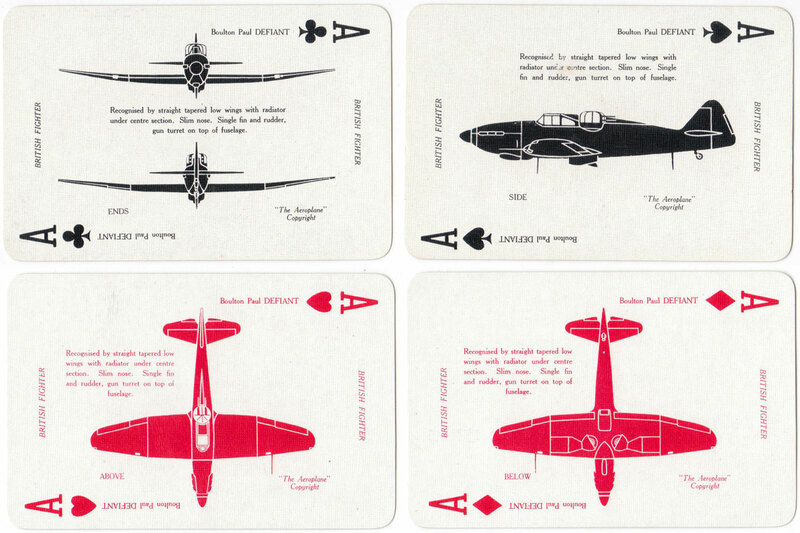 “War Planes” card game as an aid for aircraft spotting was published by Temple Press Limited at the start of WW2, c.1940. 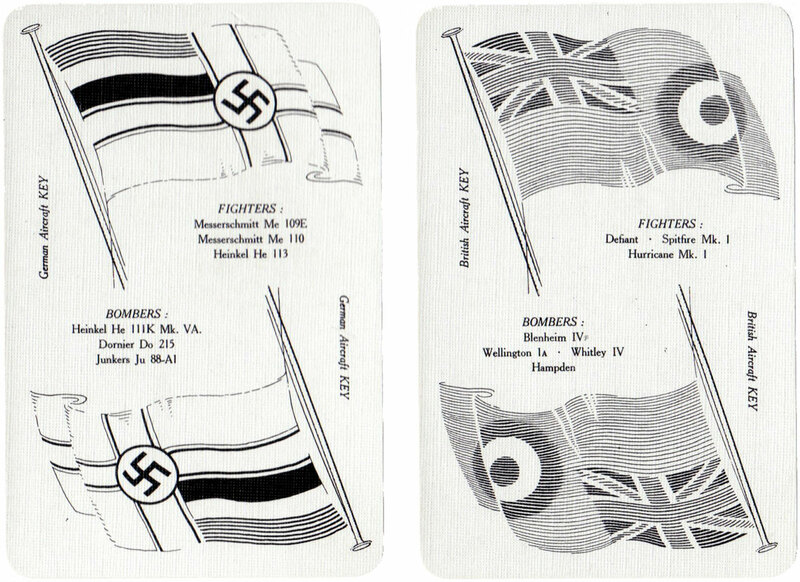 The set contains 65 cards illustrating five different views of British RAF and German Luftwaffe aircraft, including technical specifications, plus two flag key cards making a total of 67 cards. 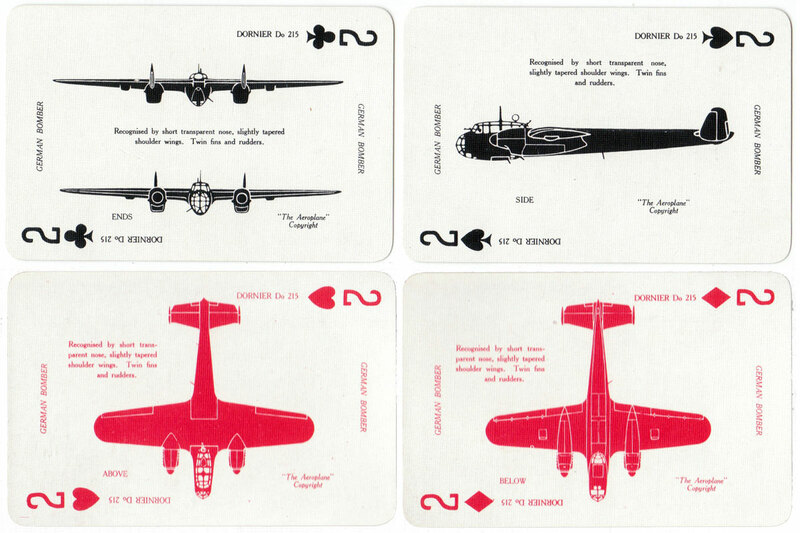 In addition to being used to learn aircraft recognition, fifty-two of the cards have standard suit symbols and indices enabling the pack to be used for playing most card games. 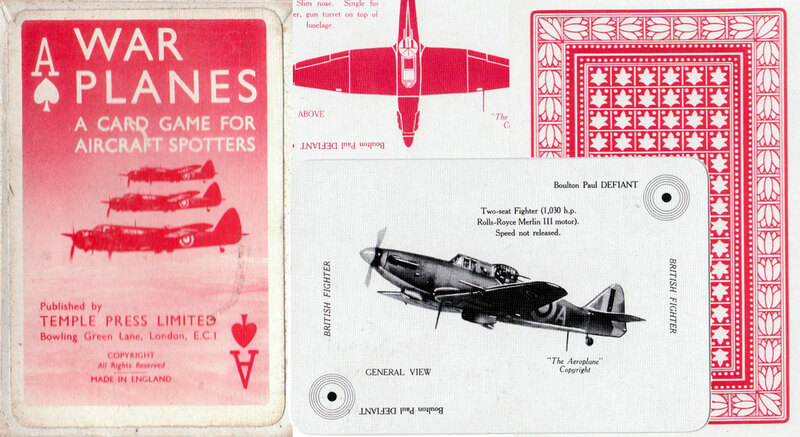 Above: “War Planes” card game for aircraft spotters published by Temple Press Limited, c.1940. 67 cards + rules booklet in box. All images courtesy Rex Pitts.